Remember the still-preserved 99 million-year old dinosaur wings with their feathers intact? 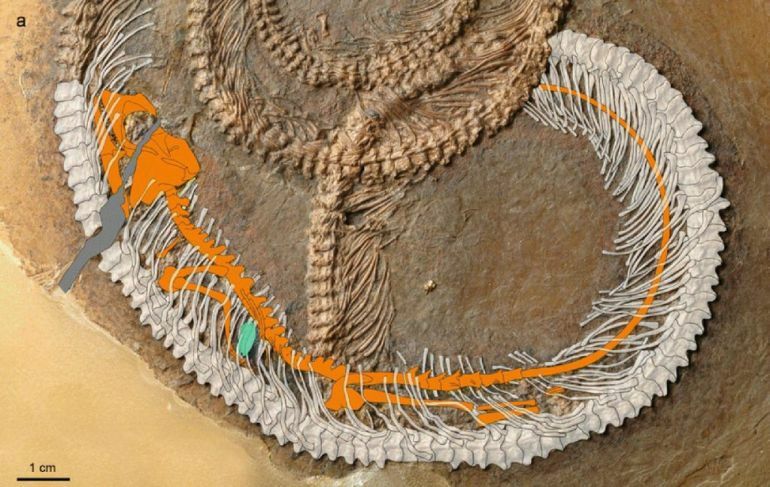 Well this time around, as part of a new research, a team of paleontologists have discovered an incredibly unusual fossil of an insect inside a lizard inside a snake. Dating back around 48 million years, the bizarre fossil remains were uncovered in what was once a prehistoric volcanic lake. It’s probably the kind of fossil that I will go the rest of my professional life without ever encountering again, such is the rarity of these things. It was pure astonishment. According to the researchers, the most likely scenario would have involved an ancient iguana that ate a small, shiny insect, before being swallowed headfirst by a young snake approximately two days later. Although it is not yet known how the snake eventually died, the team believes that the reptile met its end in a deep volcanic lake. To see this kind of trophic scale recorded within the gut of a snake is a very cool thing. 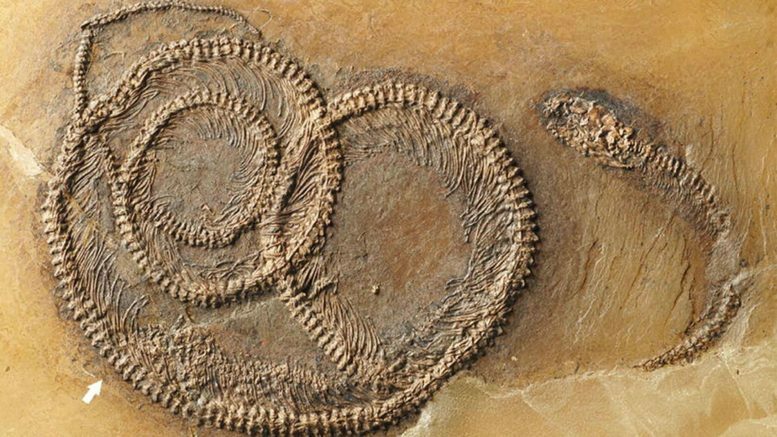 In 2009, a team in Austria discovered a well-preserved 250 million-year-old fossil of a shark, which surprisingly contained an amphibian inside it. The amphibian, as it turns out, had earlier feasted on a smaller fish. Such finds, according to scientists, represents the hierarchical nature of the food chain, even during prehistoric times. This fossil is amazing. We were lucky men to study this kind of specimen.